Today I would like to introduce a new breakout board to read temperature values from the most used sensors in the industry such as PT100 and PT1000 (well at least in France). It’s not the first time I want to measure sensors but one of the most used in industry are the PT100 and PT1000, and a friend of mine asked me several times to be able to easily measure temperature with these sensors. I wanted this board to be small and efficient and the ability to measure all PT100 ot PT1000 sensors, the one with 2, 3 or 4 wires. So I added several on board jumper pad to select the different mode. 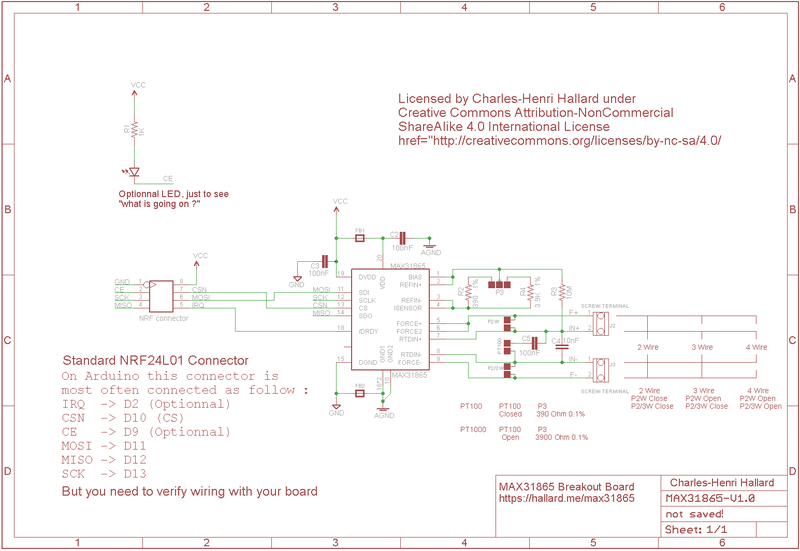 I wanted also to use an existing pinout, so I choosed the well known NRF24L01 one. Which is really (almost I think so) the most used on sensors boards. 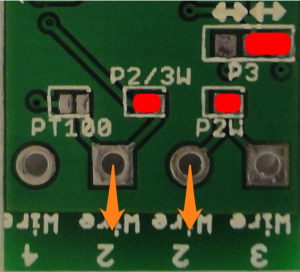 The connector is present on my boards design such as ArduiPi and ULPNode boards. But you can also find it on several Arduino boards, even if pining may be different. You can use this breakout board with any embedded card such as Arduino (or ESP8266, Spark Core, Photon, OAK, …) . You just need to do some wiring if the NRF24L01 connector is not on the board. But it’s just 8 wires, it should be straightforward with some dupont cable. Here another picture of the final board, you can zoom in clicking on the picture. 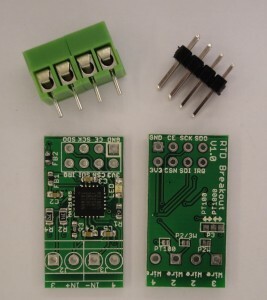 Let get a look to the NRF24L01 connector. Picture below is the top view. 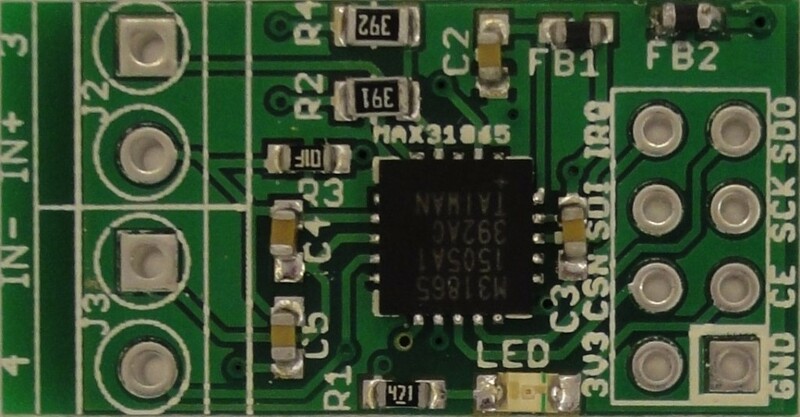 And now the MAX31865 breakout board, pretty the same. 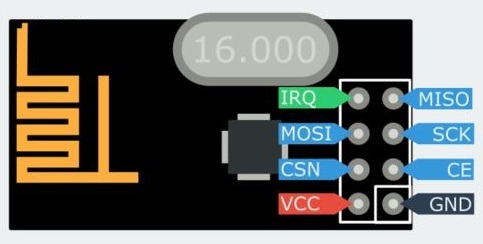 So there are 8 pins, described as follow and this is the same pinout for the MAX31865 breakout board divided into 3 groups. in parenthesis I indicated the Arduino pin where it’s generally connected to. VCC/3V3 connected to 3.3V, do not connect it to 5V !! If you want the demo sketches do works, you need to connect the pin according to the definition above. Mainly you can have 2 values type of sensor, PT100 and PT1000 and for each 3 connections type, which are 2,3 or 4 wires. 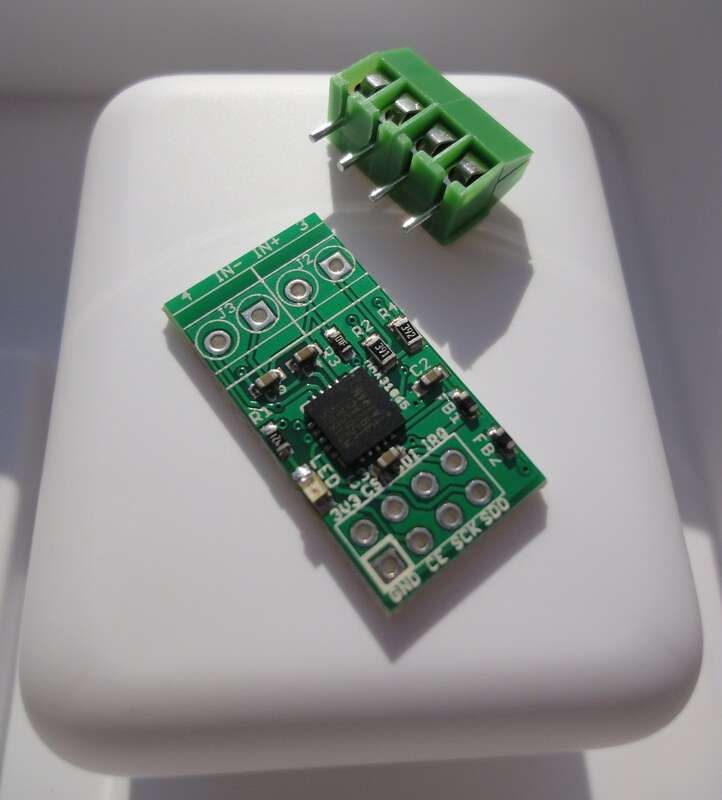 Before the first use, you need to put some solder on the pad to select which type of sensor you want to connect on. Here are the different options that are present on the bottom of the board. 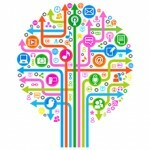 You will find in the picture below how to setup the board. The RED bullets represent on which pad you need to put solder to setup the configuration. The Orange where you need to connect the sensors wires. Of course if you use terminal block and if they are soldered on board, you just need to put the wires into and fix them with the screw. 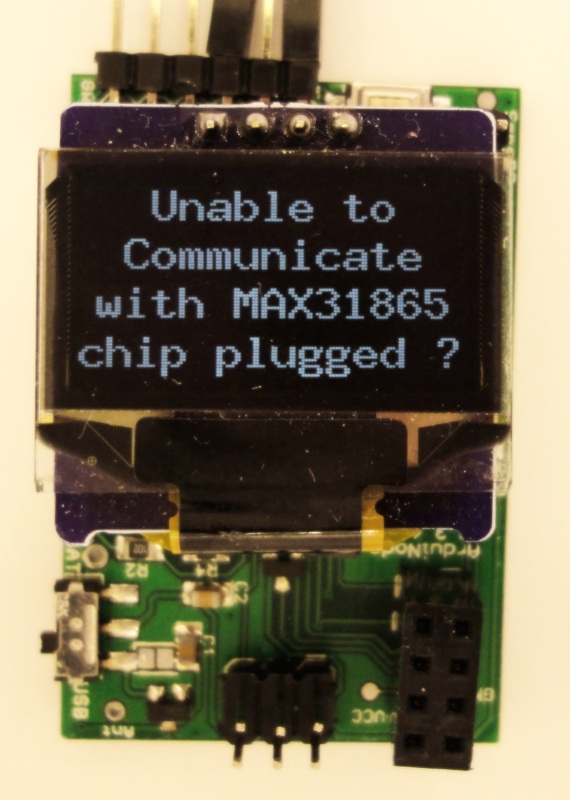 You will need the modified MAX31865 Arduino library to be able to test the board. The library can be found on my github here. 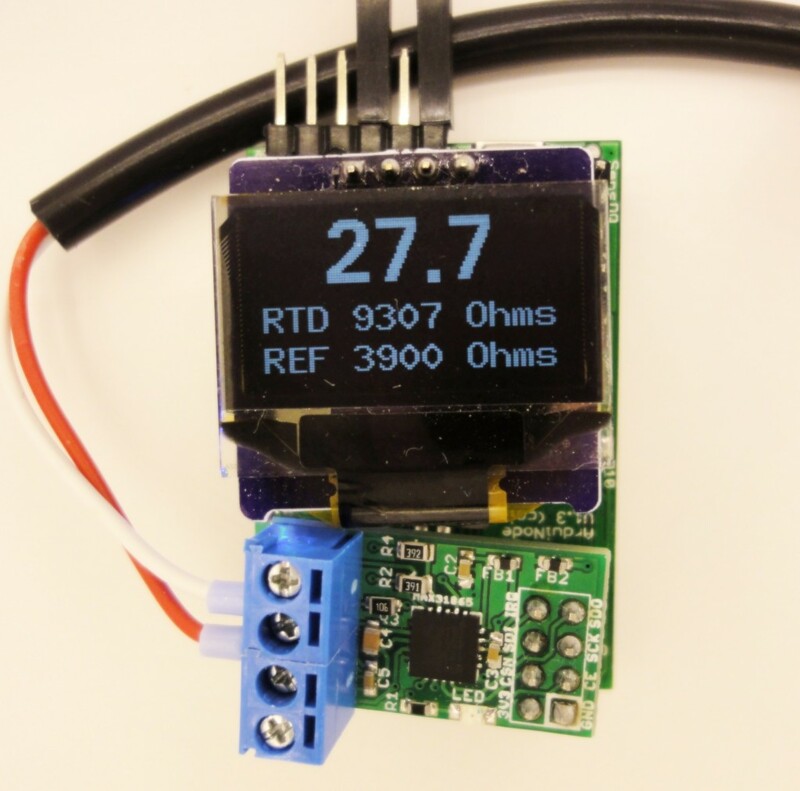 If you want to connect an optional OLED display you will also need the u8glib library. 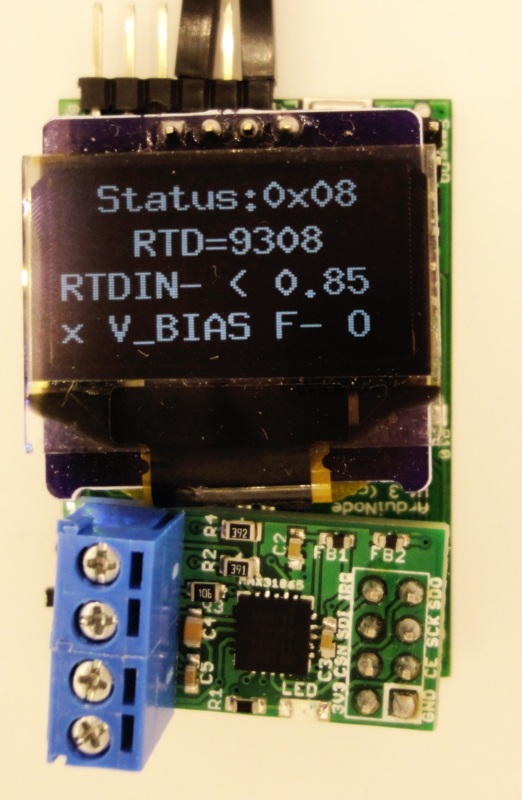 You can now upload the sample sketch named Full_Test_Serial.ino or Full_Test_Oled.ino if you connected an I2C Oled on you board and let your serial monitor to 115200kbps. Full_Test_Serial.ino Jul 16 2015 17:10:10 2	Checking MAX31865 SPI chip...Found OK! Checking manual fault detection Stage 1 status=00 => OK! Checking manual fault detection Stage 2 status=00 => OK! Starting conversion...(in 62ms) Status:00 RTD:9255 Ohms => Temp:26.1 C Done! 4	Checking MAX31865 SPI chip...Found OK! Checking manual fault detection Stage 1 status=00 => OK! Checking manual fault detection Stage 2 status=00 => OK! Starting conversion...(in 62ms) Status:00 RTD:9256 Ohms => Temp:26.1 C Done! 22	Checking MAX31865 SPI chip...Found OK! Checking manual fault detection Stage 1 status=20 => OK! Checking manual fault detection Stage 2 status=08 => RTDIN- < 0.85x V_BIAS F- Open Done! 24	Checking MAX31865 SPI chip...Found OK! Checking manual fault detection Stage 1 status=20 => OK! Checking manual fault detection Stage 2 status=08 => RTDIN- < 0.85x V_BIAS F- Open Done! 38	Checking MAX31865 SPI chip...No communication, is breakout board plugged ? Done! 40	Checking MAX31865 SPI chip...No communication, is breakout board plugged ? 2	Checking MAX31865 SPI chip...Found OK! Checking manual fault detection Stage 1 status=00 => OK! Checking manual fault detection Stage 2 status=00 => OK! 4	Checking MAX31865 SPI chip...Found OK! 22	Checking MAX31865 SPI chip...Found OK! Checking manual fault detection Stage 1 status=20 => OK! 24	Checking MAX31865 SPI chip...Found OK! 38	Checking MAX31865 SPI chip...No communication, is breakout board plugged ? 40	Checking MAX31865 SPI chip...No communication, is breakout board plugged ? 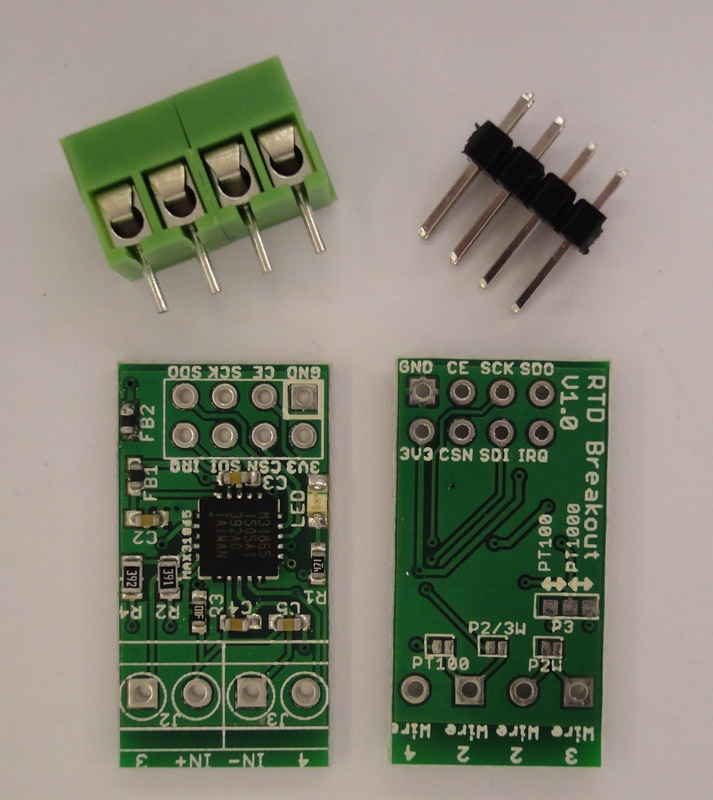 Want to get this breakout board ?